You wake up in an alley. Your head hurts, and there's blood all over the place. You investigate your surroundings, but after you check everything, there's still something you don't know. This is a mystery story about unveiling what happened in that alley. But what can someone without a clue of what his name is do? Luckily for you, someone comes to you as soon as you leave the alley... and it's your girlfriend? "I'll help you as much as I can!" Lockers: As you play, you will end up in some bad places, but don't worry! Sometimes, when everything goes south is when you're able to find something that will help you continue! Memories: This handy feature allows you to automatically store important information you recieve, which could help you later if you need it. Up to three different ways to solve the case: Uncover the truth behind the cases in up to three different ways, each one with it's own logic train and reasoning. Even different minigames await you depending on which way you choose! 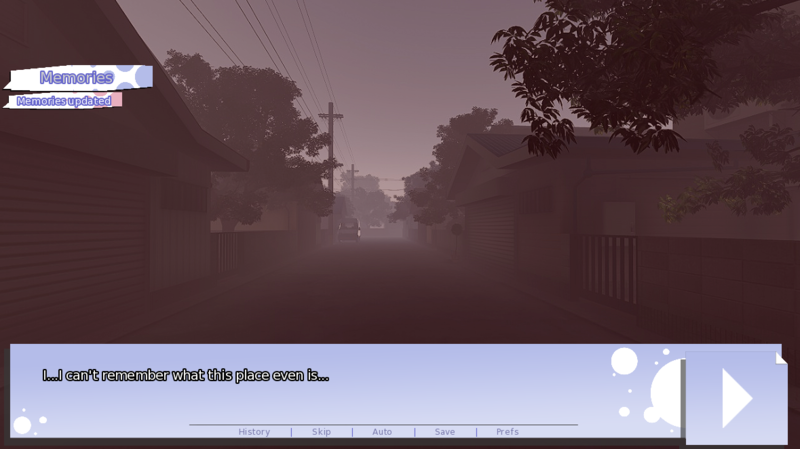 Keep in mind that this is just the prologue of the visual novel, and as such, it's meant to be an introduction. This means that the difficulty of this case will be very low, and most of the features won't be applied. Relax and enjoy (hopefully) the beggining of this story, and familiarize with Doce's main cast at you own pace. Is this your first release? It depends on what you mean with release, but if you mean that if this is my first time doing something from nothing, yes, and I feel very happy with the result. Hm, even so, I think you could improve some stuff. So do I! That's why I'm always open to any type of criticism. In fact, if you want to directly tell me stuff, you can always contact me via Discord (TSS~Danny#2610). Will this specific release get updates? Yes it will as I see fit. It might be just some bugfixes or it may be a complete art revamp based on feedback, so everything you say does matter! Do you intend on reaching some kind of milestone before working on the full release? No, of course not. This is my first game and I completely intend it to be something I can use to learn from it. However, if you want to help me by donating, I more than welcome it. If you do, contact me via Discord. 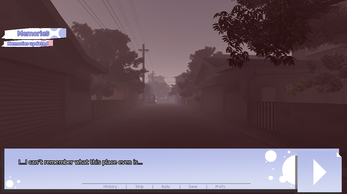 Who worked on this visual novel? MusMus: Every OST besides the main theme that sounds in the main menu. Will the final release be free as well? Sadly, no. I'm going to invest a lot of time, and the artist (or artists in plural) are going to make a big effort to bring the best out of this project. BUT, if you expect me to ask you more than 5$, that's not going to be true. I truly want as much people as I can to play this, so I don't want to make it too...hard to reach. Getting close to an update + minor info on full ver. Hey! I just downloaded the game and I have to say, I really liked it! And I'm really looking forward to seeing the rest of the game! 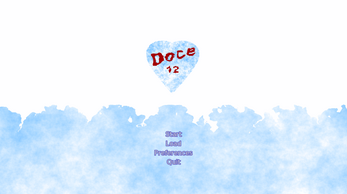 Thank you for playing Doce's prologue! Please, if you have any complains, do not fear to let us know. Hey guys, I've really enjoyed the prologue. Looking forward to the main game! Thank you for playing! 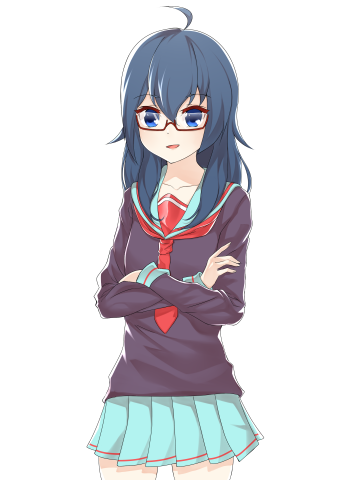 We are working hard on bringing you the rest of the game, so please, do look forward! Nope, just wanted to say HI! also thanks for the cool visual novel. You're welcome, thanks for playing the prologue of Doce! Please, be sure to check out the full version once it comes out, it'll contain a lot more things.